Sheryl is a Broker/Owner and has earned the following distinctions: Certified Luxury Home Marketing Specialist and Certified Negotiation Expert. Not only do her skills create a win/win for her clients but her work ethic and her need for NO sleep enables her to cover more basis than imaginable. Sheryl was born and raised in Texas and completed college at Baylor University with a double major in Education and English literature. She has been a resident of Austin, Texas since 1973. She lived and raised 3 children in the Westlake area of Austin. Sheryl worked in the corporate world for a Fortune 500 company helping facilitate the build-out of infrastructure communication via fiber optic through tunnels of the subway systems in the major cities of Russia and along the Octoberskya Railway between St. Petersburg and Moscow. Sheryl has been in the home building business and/or a real estate professional for the past 18 years. She has been instrumental in $100m of real estate transactions. 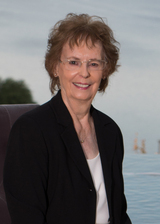 She and her husband, John, were 2 of the first investors in the high-end exclusive Lake Travis waterfront community known as Costa Bella where they built one of the first ever spec homes valued over $1m. This home earned 50% of all the awards handed out during the Austin Builder's Parade of Homes, 2000. 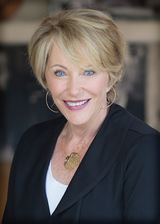 These experiences have enabled her to work effectively with all levels of Home Buyers and Sellers and enjoys the challenge of listing high-end homes and concurrently finding a buyer for her seller. Since 1995, her husband, John, and she have enjoyed living out on Lake Travis with their menagerie of rescue animals. They are the proud parents of 6 children and 7 grandchildren. They often times whisper that they wish they had started with Grandchildren first. If you are looking for a high-energy, fun-loving, natural-born leader who is very intelligent, with architectural design and construction experience, and an ability to "close", Sheryl Scott is the agent for you. years. She has traveled all over the world with Andrew Corporation, Orland Park, Il. Ex-Patriots and moving them to flats located either in Moscow or St. Petersburg. Road known as Deer Creek Ranch. knowing what type of home fits their needs after the first introduction.